Once Upon a Twilight! : #Denver Grab Passes to #TMNT2 + Enter to win PRIZE PACK! #Denver Grab Passes to #TMNT2 + Enter to win PRIZE PACK! 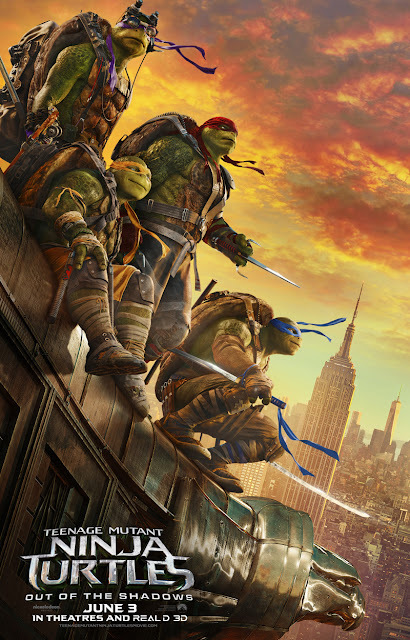 Do you want to see TEENAGE MUTANT NINJA TURTLES: OUT OF THE SHADOWS before it hits theaters? Well click the movie poster below for your chance to download an admit-two screening pass for an advance screening on Wednesday, June 1st at 7:00PM in Denver! Seats in the theater are first-come, first-serve so PLEASE ARRIVE EARLY! Be sure to email AlliedIMDenver@gmail.com with your full name and enter subject line “TMNT2 – TRP” for your chance to win a great prize pack from Playmates! TEENAGE MUTANT NINJA TURTLES: OUT OF THE SHADOWS opens everywhere on June 3rd.